All of us that have more than one gadget know the clutter we make all the time. Charging your devices while working and suddenly mistake your smartphone as a mouse. The clutter has a few fixes, but the IDAPT Wireless Charger i4w Qi takes in all that clutter and makes it into something neat. The IDAPT Wireless Charger i4w Qi can charge 4 different devices all at the same time in a very neat and clean fashion. It is a glossy black box with a trapezoidal shape. 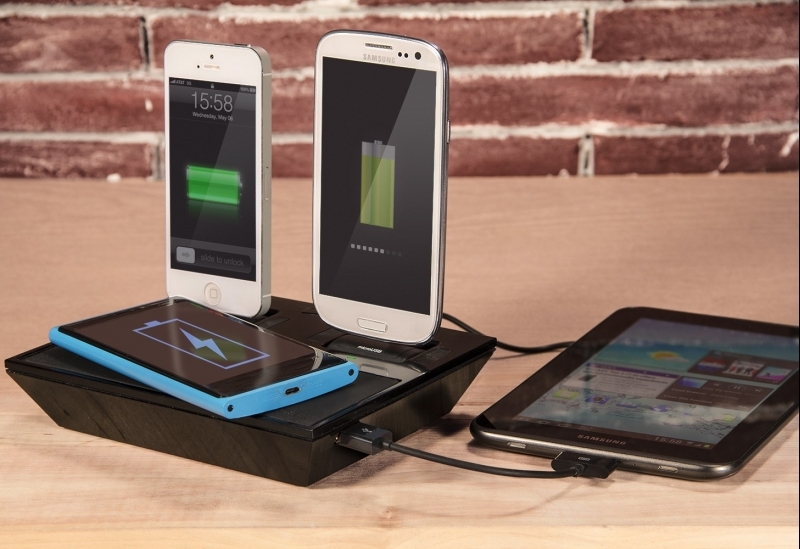 Up on top of the IDAPT Wireless Charger i4w Qi are 3 ways to charge your smartphones. There are two spots that are available to have IDAPT’s interchangeable tips to support the different kinds of ports on smartphones. Namely the tips are for the new lighting ports of the iPhone, microUSB for other smartphones, the old miniUSB for older devices, and the previous port for the past iPhones. This option can charge any device available with an output of 5 watts, which is just as fast as regular chargers. There is also a Qi compatible charging pad right under the two spots for the interchangeable tips. It can charge any Qi-enabled devices just by placing it on top. The last option is the Turbo Smart USB initially made to charge tablets. You can simply connect your USB cable to the USB port and it will charge your tablet with an output of 10 watts. 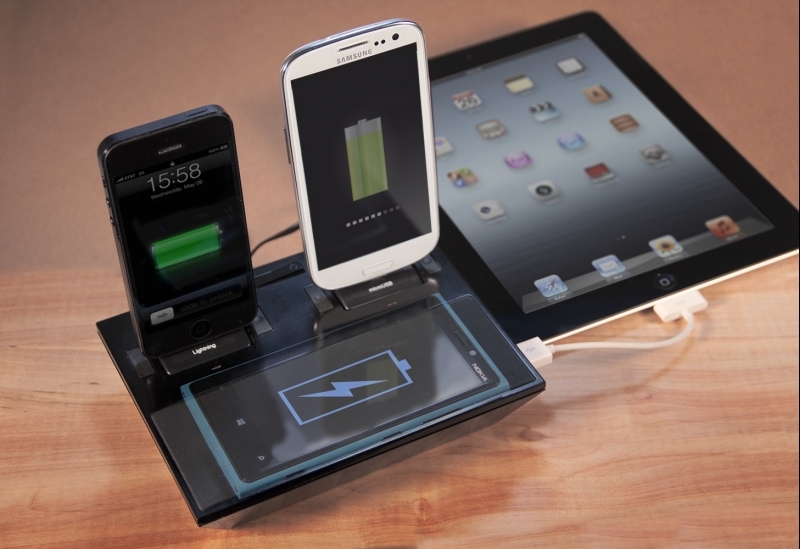 With all these options available, it is ready to charge over 5000 different devices. The IDAPT Wireless Charger i4w Qi will be available for $109.99.